If you looked up at the Sydney city skyline in the early hours of yesterday morning, you may have been surprised to see an enormous sign being hoisted by crane to the top of Tower 3 at the Barangaroo site. 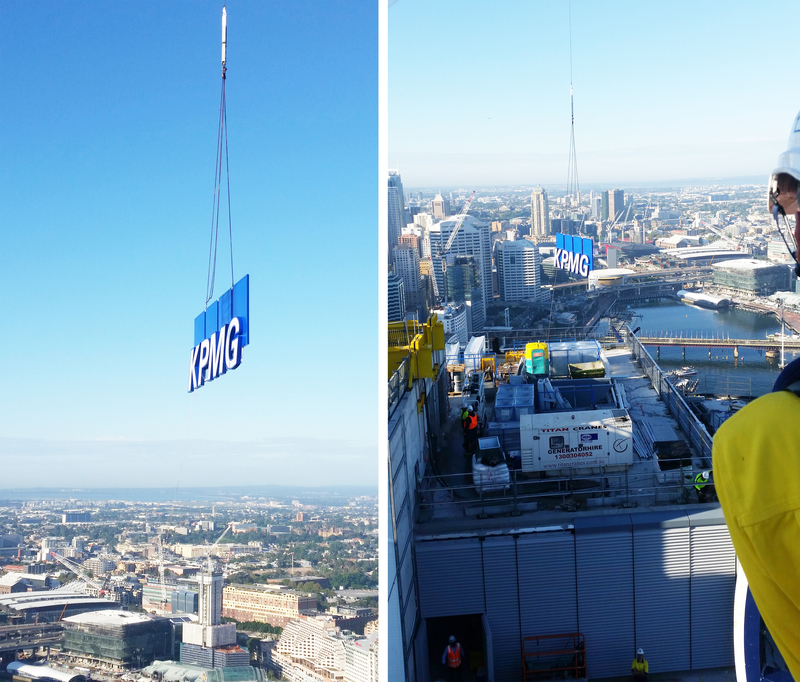 The 15m long sign was being installed to the top of the tower which will house KPMG’s new Sydney headquarters. We are very proud to have been working with KMPG for the past 4 years to develop this world class workplace in the exciting Barangaroo development. To find out more about other projects we have worked on visit our Work page.